Dead Space 3 has been a big question to many fans of the series, considering the ending of the second game (also after the credits) and how Dead Space 3 logo was spotted during a tour of Visceral Games all of this propelled the possibility of Dead Space 3 being in the cards but a question of when came into play. 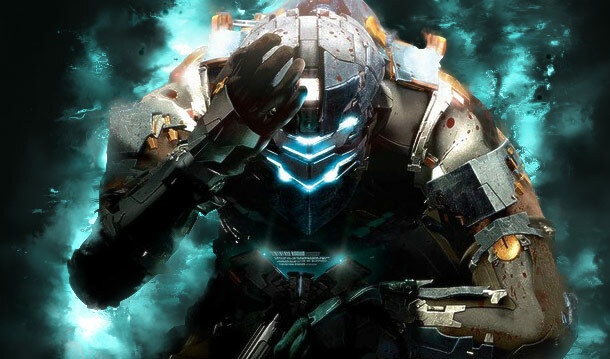 Rumor is now suggesting that EA is going to run Dead Space into the ground by turning it into an FPS AND make it utilize the Frostbite 2.0 Engine, Something which a game like it doesn’t even need and will ultimately be the death of the series. "What did I ever do to you EA?" Rumor has it that EA is working on making the next Dead Space game an FPS shooter AND will run it on the Frostbite 2.0 Engine with improved multiplayer; While I am all for it I don’t like the general direction of the new changes. Dead Space as an FPS can ruin the whole experience and Frostbite 2.0 will be another problem for people who may still have outdated rigs and don’t want to upgrade just yet. I am all for change but keep it to something relevant, for EA to revamp a marvelous IP like Dead Space so horribly is simply brutal. “must be an avid FPS gamer” with “previous experience as a Multiplayer Level Designer on shipped shooter/action titles”. But it might not be Dead Space 3 even, it could be a follow up game to Dead Space: Severed (Exclusive Dead Space 2 DLC for the XBOX 360 and the PS3). EA Deviated from Issac Clarke’s story line twice (Three if you count Ignition) now and who is to say that they aren’t doing it for the 3rd time following the ending of Severed? I would be perfectly okay with that but a game which has Issac Clarke in FPS and destructible environments is simply too much for me and I am sure many fans agree that a game like Dead Space is perfectly well off without the need for life like graphics and / or becoming an FPS. As a sincere fan of Dead Space and all it’s games, story, and the IP as a whole I will truly resent EA if they ruin Dead Space for me but thankfully these are just Rumors (for now) and we will have something more concrete to work with in the coming gaming events this year. Rumor: First Dead Space 3 Screenshot Released?